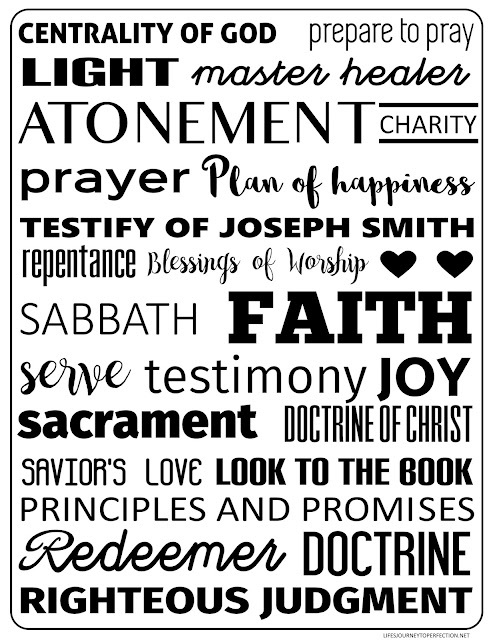 Didn't you love General Conference?? It can be overwhelming to choose which talk to share with your sisters, because there were so many great messages. So, I thought I would share some ideas and some of my thoughts on this past conference. First, charity is essential to live in heaven. Sister Bingham, spoke of seeing other's the way God sees them. As we do, we will be able to love them the way he does. Something I loved about her talk is how she spoke of the powerful effect words can have. Our words have the capability to build and inspire or the have the capability to tear down and destroy. Sometimes, it may not be our intention to cause damage, but when we speak in a negative, hurtful way, it will most likely have a negative effect. I really loved this talk, something we can all strive to be better at. Second, as children of God, we are all in need of the SAME atonement. Sister Stephens taught this very principle. There is not an atonement for those who sin a little and a separate one for those with more serious sins. We all partake of the same atonement. The ultimate price has been paid by our elder brother and Savior, Jesus Christ. He is our essential to our salvation. Are we teachable? Do we come to him with unshaken faith, do we allow him to heal us, do we lay our burdens at his feet and let him in? What a beautiful talk! As we strive more fully to build our relationship with the Savior, I know that we will be filled with more joy and more hope in our lives. Third, we live in PERILOUS times!! We know this don't we? Our world is in commotion, there are people who believe evil is good and good is evil. The prophesies of old are being fulfilled right before our eyes. 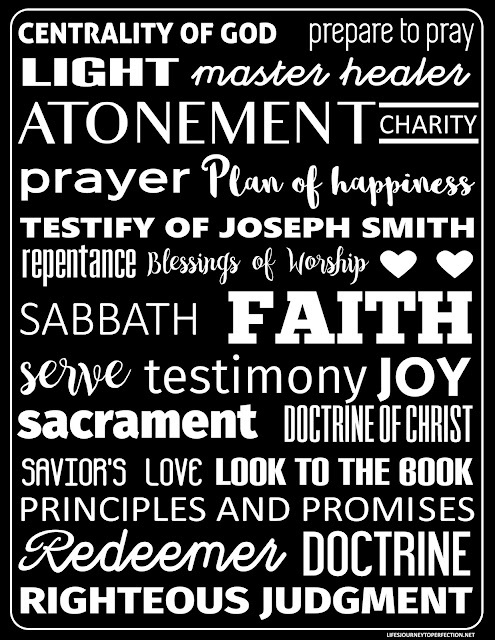 Sister Oscarson gives us great council! A blessing that comes from living in perilous times is that we also live in the fullness of times. 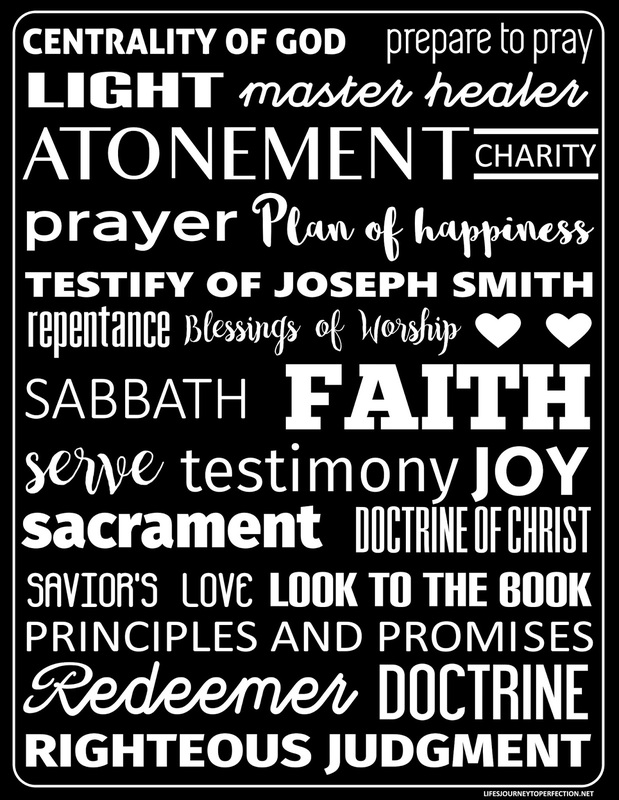 We have the fullness of the gospel! How do we stay strong, not be deceived and be at risk for falling away?? 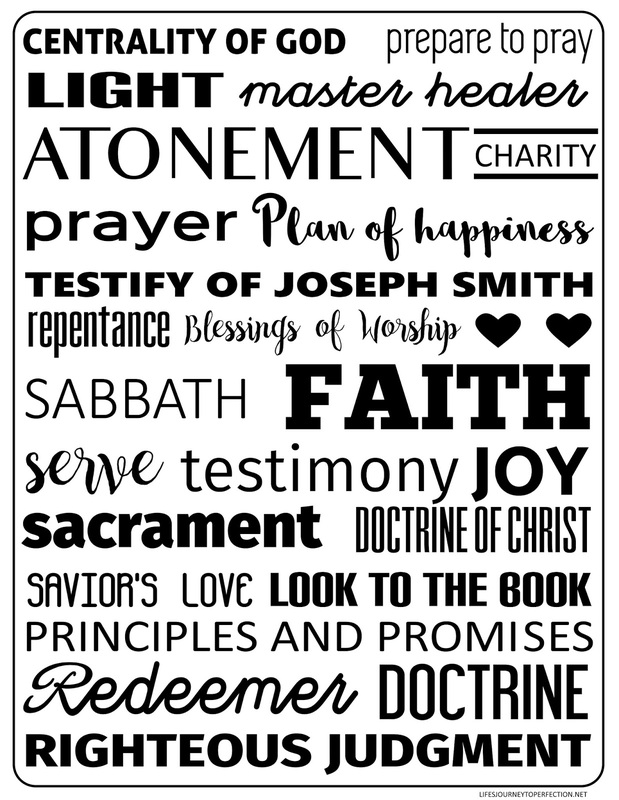 We apply the atonement into our lives; we understand the need for the restoration of the gospel and gain a witness of the Prophet Joseph Smith; we study and understand our temple ordinances; we pray, read the scriptures, partake of the sacrament and hold family home evenings; and we teach the gospel doctrine boldly, strait forward, so that our children and those we have stewardship over understand the true doctrine clearly. Fourth, sometimes we need to listen differently to hear the things of the spirit. President Uchtdorf is one of my favorite apostles to listen to. His talk was on the power of faith. I loved his explanation of what faith can not do. Faith can not violate another persons agency. Our Heavenly Father can not make any of us do anything. It just does not work that way. A great war in heaven has fought over our agency, so of course our father will not take that away. What he will do is, enlighten us and help to persuade us through encouragement. What an amazing example he is of a loving parent. Is that not what we should also do as parents? Help to enlighten our children and persuade them through encouragement. The other thing faith can not do is force our will upon our Father in Heaven. Isn't it interesting that sometimes we think we know what is best for us. We argue with God, that what we really need is this, or that. But in all reality, our Father sees the whole picture, he knows what things are going to help us reach our greatest potential. Yes, sometimes those things might not be what we want at the time. Sometimes those things might be difficult. But those things are always for our ultimate benefit. So we can use our faith to trust our Heavenly Father. We can use our faith to empower us to do the will of God. The key is to work with the faith we have and continually strive to increase our faith, great things come as we press forward in faith. If something did not stick out to you in Women's conference, then go through the talks from the other sessions. The summaries of talks from conference are a great way to go through and see what each talk is about. I think that they also make for a great little handout for the sisters you visit also. Here are these October 2016 General Conference Subway arts. From each talk I took a word or topic that the talk was about. Just by looking at the printable it can help you remember, something you can focus on that day. Frame them, clip them onto a clipboard, make a clothes pin magnet and attach it too it. Give a note of gratitude to your sisters, attach a treat, such as pumpkin bread, pumpkin squares, or caramel corn. Here is the link to previous Visiting Teaching Posts.